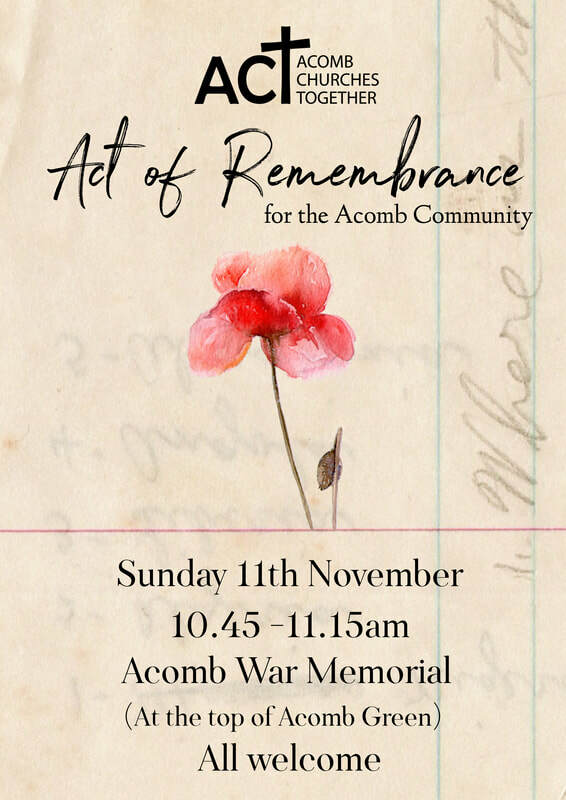 An Act of Remembrance for the Acomb Community, all welcome. 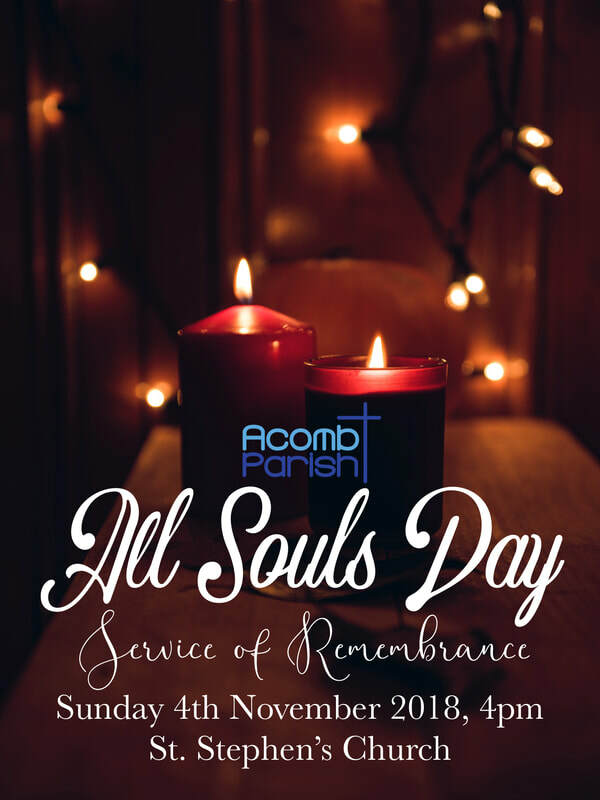 Join us to commemorate All Souls, remembering those we have lost. 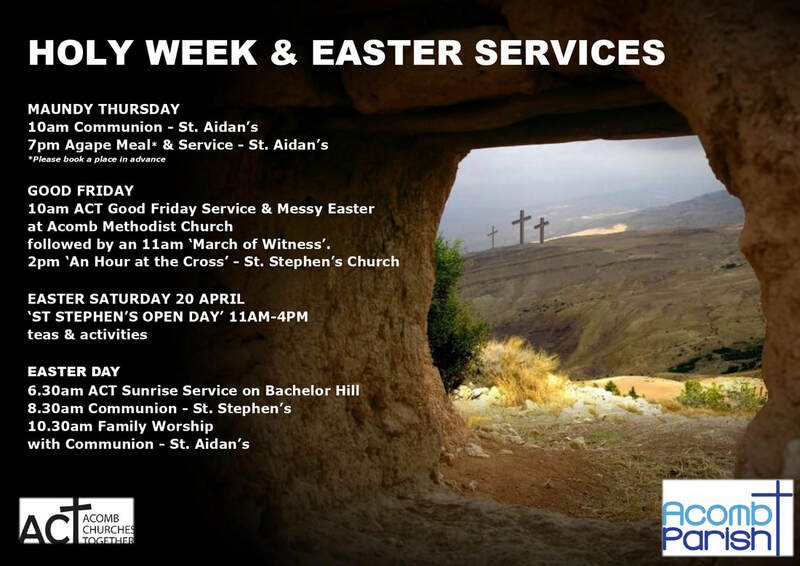 A quiet and contemplative service with names read out of those who have passed. 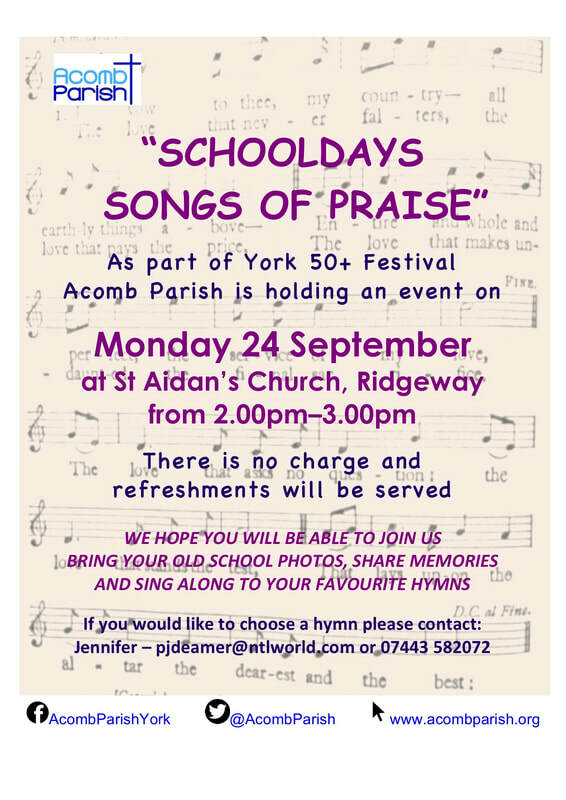 Part of York 50+ festival, join us for songs, hymns and memories from our school days. 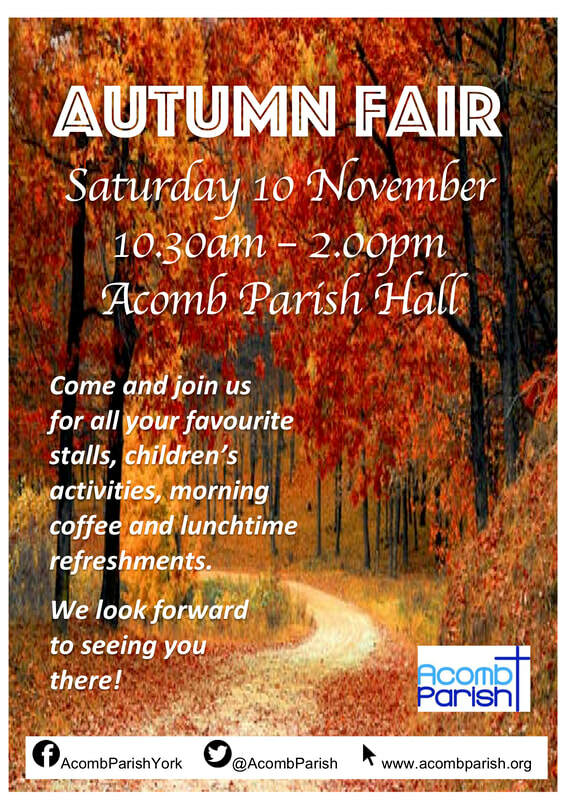 Free event with refreshments served. 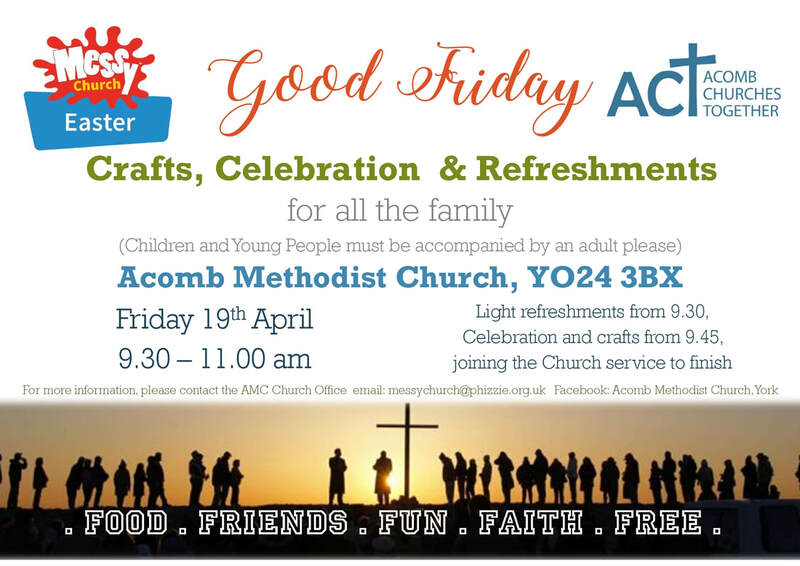 An Acomb Churches Together event, hosted at the Gateway Centre, Front Street. 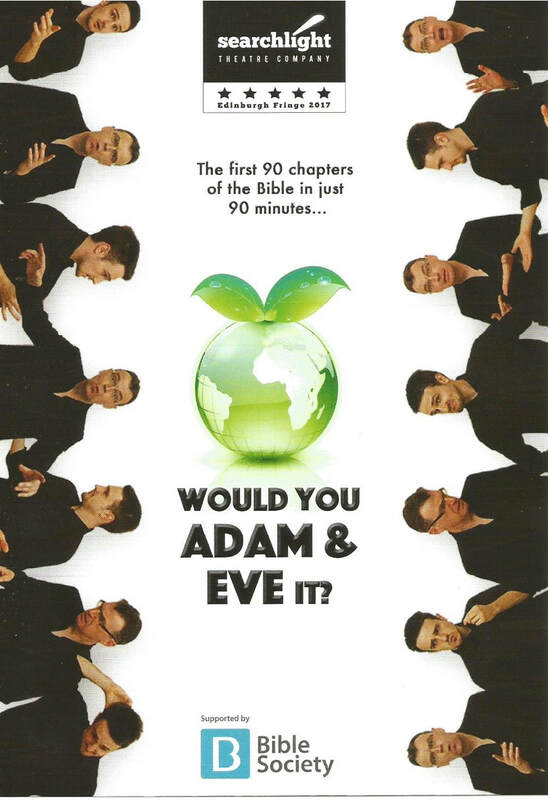 We're delighted to have Searchlight Theatre coming to perform their two-man show "Would You Adam & Eve It?" for us in York. 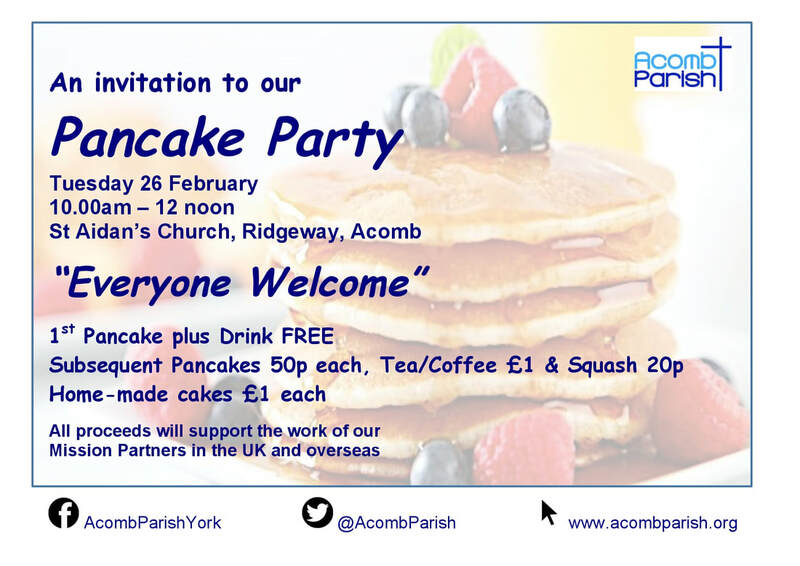 'Would You Adam & Eve It?' 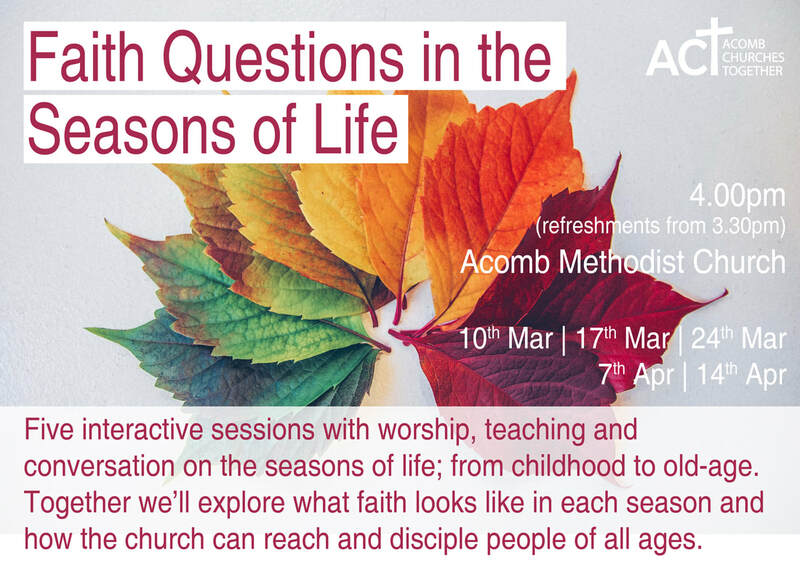 shows what happens if you tell two chaps who like to make people laugh: dramatise all 90 chapters from the first two books of the Bible. With a few strategic speedy bits to help it achieve a 90-minute running time - it has amazed audiences around the world for the last 9 years, including the Edinburgh Fringe Festival. 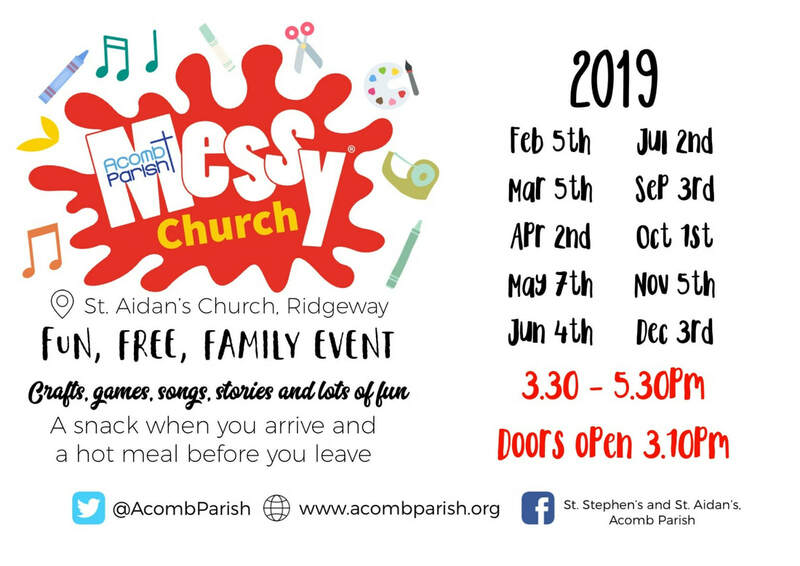 The show is being toured in partnership with the Bible Society who believe that when people engage with the Bible, lives can change - for good. The show caters for anyone aged 10 or over - with 30 FREE tickets available for each venue for children aged 10-17. 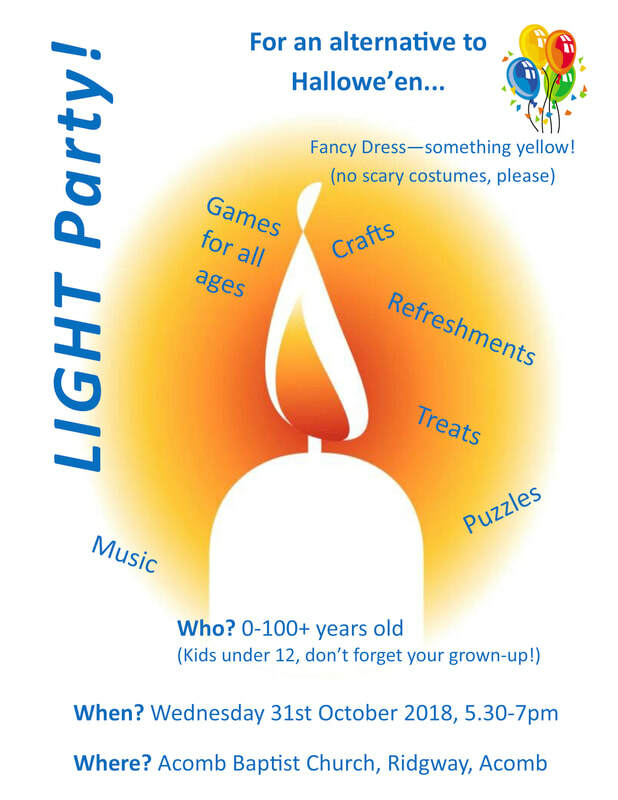 Tickets for adults are £5 each and are payable on the night.